This week's topic was fictional jobs you'd want to have! Any fictional career you'd want to have? Remember, T5W is always open to movies, TV, and video games as well. I tried to limit this to books, but I quickly realized I needed to spill over into other mediums if I didn't want just one franchise to dominate this entire list. Yay, diversity! So, enough talk -- let's get to the countdown! This job is probably way "cooler" than other jobs that made the list, but I'm ranking it pretty low simply because, if I were in VFD, I would die immediately. 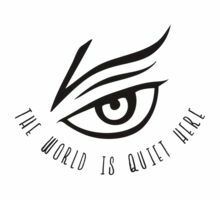 As both the 13-book series and its Netflix adaptation show us, even the most badass and competent VFD agents have a way of biting the dust; I'm pretty sure Count Olaf and his theater troupe would have no difficulty taking me out. But, honestly, with a job that cool, who cares? You get to send people secret messages, and spy on bad guys, and try to help out our heroes from the background. No one knows what VFD is, exactly, or even what it does, but they do know that it's a force to be reckoned with, and that its agents are some of the most dangerous people around. It's everything that every kid imagines spies are like. Who doesn't want to be a part of that? Anyone else remember the Disney fairies series? No, not the CGI films -- the original children's chapter books with illustrations like the ones above. If your childhood was like mine, then you probably spent a lot of time in the local library curled up with the latest release of this series -- there were twenty-six books total, and I loved each and every one of them. 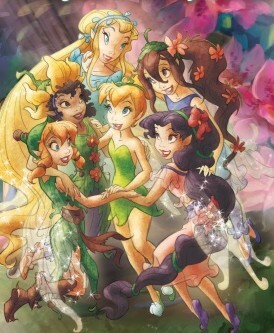 Set in Pixie Hollow, every fairy in this series has a talent; a calling that they were born to perform. Maybe it's not a career, per se, but every fairy seemed to have a job that lined up with their talent, so close enough. There are gardening fairies, painting fairies, pixie dust making fairies, and everything in between. One talent that we heard about was the problem solving talent, though we never actually met a fairy who had it. Still, the more I think about it, the more I think that that'd be the most useful talent to have. It may not be as flashy as fast flying or rainbow making, but imagine being born with the innate ability to put together solutions for problems faster than anyone else -- imagine how much easier life would be. Not just for you, but for everyone else! You could help your friends and family out with issues that have everyone else stumped! I wonder what sort of careers these fairies would have in Pixie Hollow. Maybe they were advisers to Queen Clarion or something. You do wonder why none of them ever showed up to help out Tink and her friends when they were in a bind, though. ...Or maybe I'm just overthinking it. In the ridiculously popular video game Undertale, the MTT Resort is located in Hotland, and it seems to be where everyone in the Underground goes when they need a place to crash for the night -- the place is always packed. It's owned and run by Mettaton, an entertainment/human-killing robot who's currently in the business of killing the player character and ripping out their SOUL. What a great vacation spot! ...No, really, it actually seems like a great vacation spot. Not only is the Resort located near the Underground's capital, but it's run by the Underground's biggest (only) media mogul and entertainer. If you're not the person Mettaton's trying to kill, it seems like a great place to hang around. You get to meet all sorts of people (well, monsters), and you don't even have to fight them! 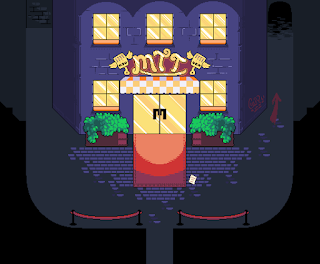 True, another character who works there describes the MTT Resort as "a labyrinth of bad choices," but it seems like a small price to pay to brush elbows with the Underground's star, and meet all the quirky, lovable characters the game has to offer. And, hey, maybe you get a discount to some of their five-star suites! Now, in all likelihood... would I wind up wanting to kill Mettaton if he was my boss? Yes. Definitely. Absolutely. Mettaton may be my favorite character, but he's also egotistical, a glory hound, and an overall sarcastic, obnoxious douche. If I had to work for him, I would probably end up deprogramming him myself. But, that's why this is fiction and not reality. The appeal of the Mystery Shack is actually very similar to that of the MTT Resort, but I ranked it higher on the list based mainly on the fact that I'd be slightly less likely to kill Stan Pines than Mettaton. 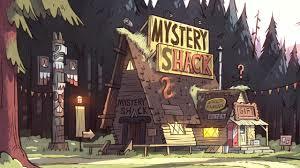 The Mystery Shack is a tourist trap to the nth degree -- fake monsters, phony magical artifacts, and every money-spending-time-waster imaginable... dropped right in the middle of a town in the Pacific Northwest that's crawling with real supernatural creatures and real magic. 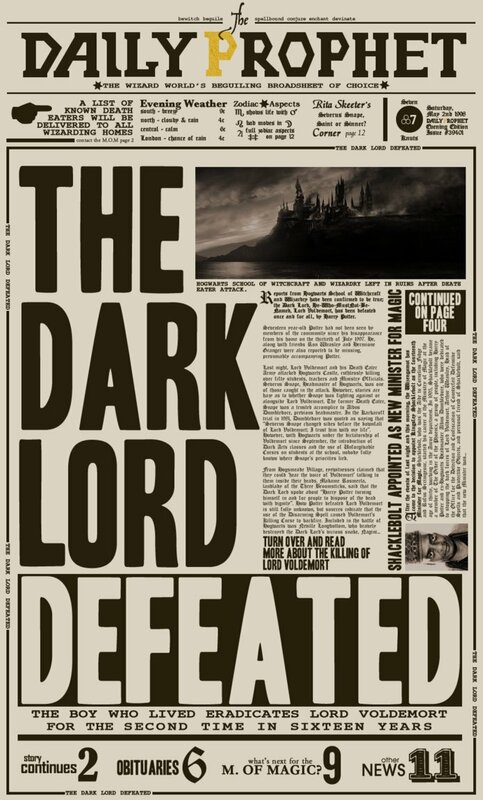 Yes, I chose a writing-based job in the Harry Potter universe for the #1 spot. Cue the gasps of surprise from absolutely nobody. Look, as cool as the Aurors are, and as much as I respect their work, I could never be one. Attacking people, magically or not, just isn't my style. I don't have the patience required to be a Hogwarts professor. (Put me in the same room as the likes of Severus Snape, Gilderoy Lockhart, Argus Filch, and Dolores Umbridge, and I guarantee, not everyone will be coming out of that room alive.) And as for Quidditch, well... I don't like sports even when you don't throw heights into the mix. Now you want to put me on a flying broom and have me try and concentrate when I'm several meters off the ground with no protective equipment, and have two balls that are essentially glorified cannonballs trying to knock me off my broom? No, thank you! However, I wouldn't be averse to watching Quidditch and writing up a column on it. Or, say, interviewing the latest Hogwarts professors. 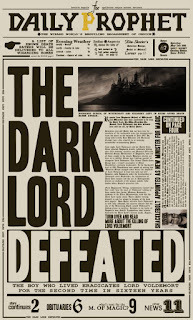 Or maybe even writing an article about the Aurors' latest arrest. I wouldn't object to writing a column once or twice a week, sending into work via owl, and then going across the street for some Butterbeer, because in this scenario I live in Hogsmeade. In fact, that sounds pretty much perfect. Thank you so much for reading this countdown! Are there any amazing fictional jobs I forgot to mention? Talk about them in the comments below! Making a living at writing is hard, but I'm attempting it anyway. If you'd like to help out, check out my Patreon here. I love your pick- A VFD member! Yes! I love all of these. These are awesome! My friend and I used to love the Disney Fairy books! I really like your pick for #1! It's an interesting thing to think about too because there is an extremely wide range of things done in the field of wizard journalism. Advise columns and clickbait articles even buzzfeed quizzes! !